The Honeywell 5809SS is a wireless fixed heat and rate-of-rise temperature sensor that offers expanded fire detection and installation flexibility. The 5809SS is ideal for hard-to-wire locations and applications that require more than smoke detection for alarm systems that support Honeywell's 5800 series devices. The 5809SS contains a built-in fixed temperature sensor, which will signal an alarm if the environmental temperature risesabove 135°F (57°C) and it also incorporates an additional rate-of-rise temperature sensor. Fires typically cause a rapid rise in temperaturein the surrounding area. The 5809SS's rate-of-rise thermostat senses the rise in temperature and signals an alarm if the increase is 15°F (8°C) or more per minute. The 5809SS is UL Listed (UL 521)and CSFM approved for commercial and residential applications. Please note, the 5809SS will be permanently damaged if stored, or installed in environments where the temperature exceeds 100°F (38°C). If the metal disc is detached, the detector has exceeded 135°F (57°C) it must be replaced. Heat detectors should be used for property protection. Reliance should not be placed solely on heat detectors for life safety. 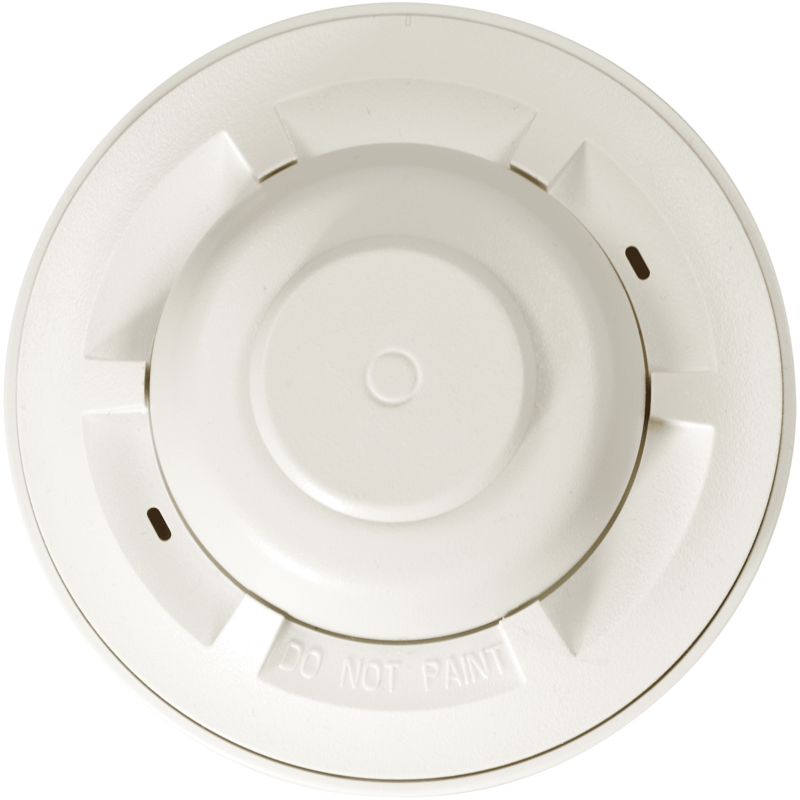 When life safety is involved, smoke detectors must also be used. The 5809SS detectors must not be painted, unit must stay dry, and is for indoor use only. If the fixed temperature sensor activates, the detector must be replaced.